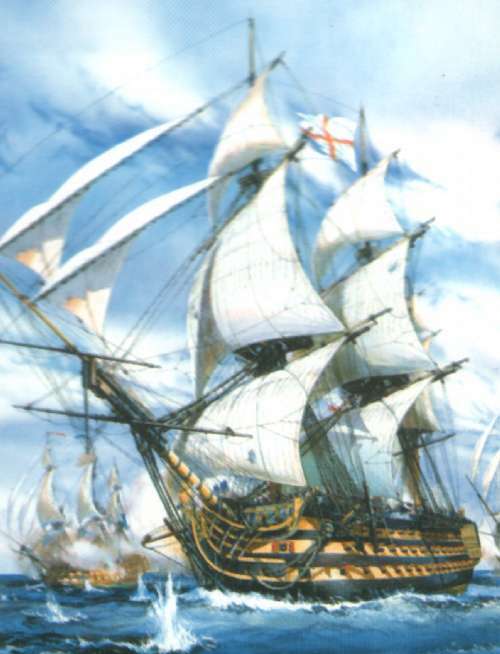 HMS Victory ship model plans and drawings. HMS VICTORY is the oldest commissioned warship in the world, and is still manned by officers and ratings of the Royal Navy. She is now the flagship of the Second Sea Lord and Commander in Chief Naval Home Command and lies in No 2 Dry Dock at Portsmouth Naval Base, Portsmouth, England. Victory was designed by Thomas Slade, the Senior Surveyor of the Navy. Her keel was laid down in Chatham on 23 July 1759 and she was launched on 7 May 1765 but was not commissioned until 1778. This long period of weathering meant that the hull timbers were well seasoned, which is probably the main reason why she has survived so long. Once commissioned she became the most successful first rate ship ever built. Her excellent sailing qualities made her a very popular choice for use by admirals as their flagship. Admirals Keppel, Kemperfelt, Howe and Jervis all used her prior to Admiral Lord Nelson when he was Commander in Chief of the Mediterranean Fleet. Even after the Battle of Trafalgar she continued her active career and was involved in two Baltic campaigns under Admiral Saumarez. Buy now FULL set of 9 sheets of high quality ship model plans and build one of the most beautiful ship model!